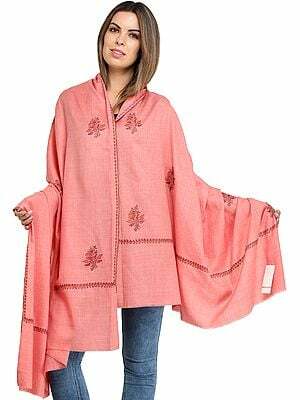 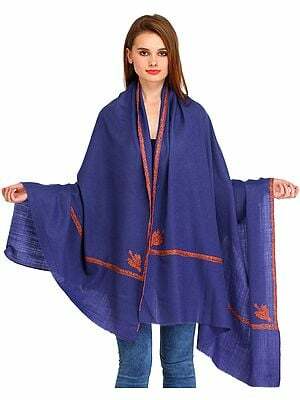 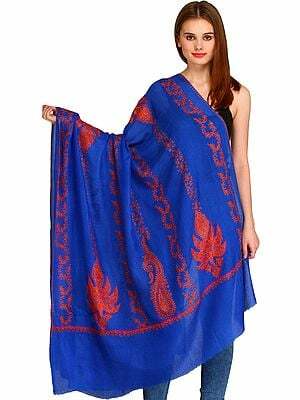 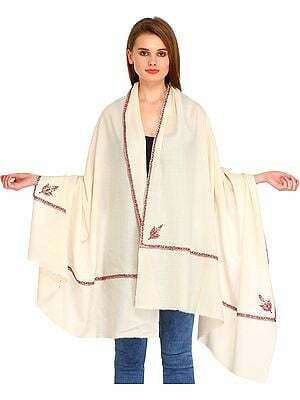 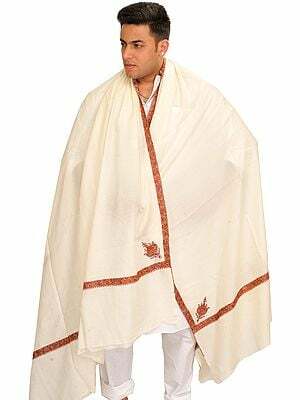 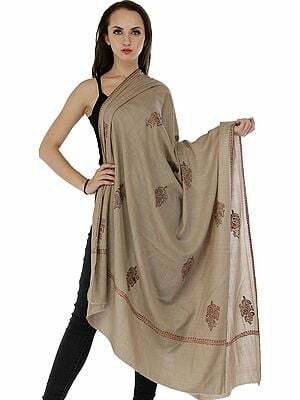 This is a highly characteristic shawl handpicked from the fashionable North Indian city of Amritsar. 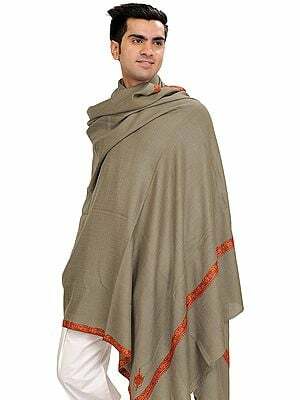 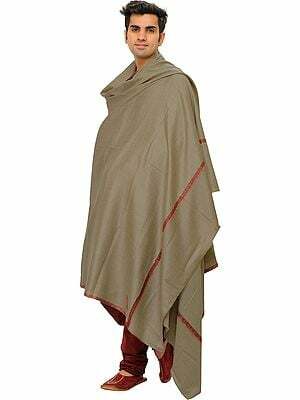 Fashioned from pure homegrown wool, it comes in two signature colours that would allow you to team it with a saree or suit of practically any colour. 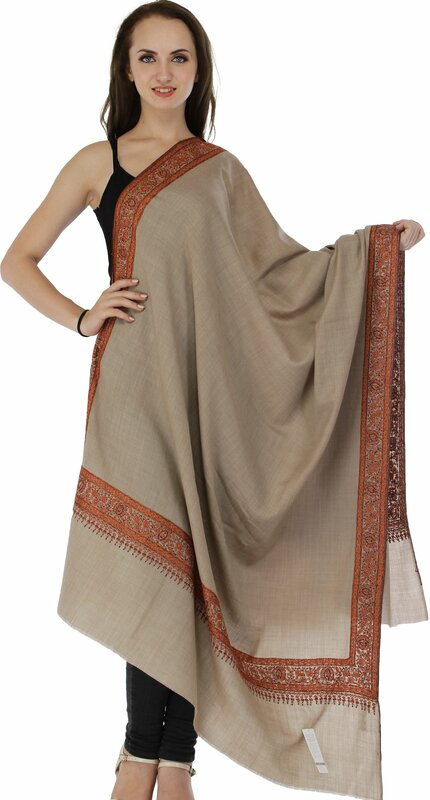 The gorgeous tendrils embroidered along the edges have been done using the endemic suzani technique in alluring shades and tints of gold.